Are you an administrative leader of a church with weekend attendance over 2000? 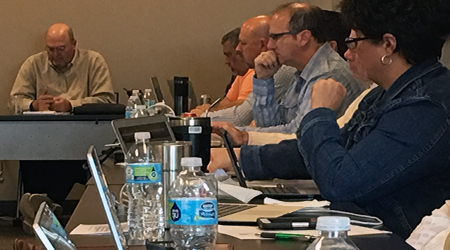 The Metro Group is comprised of administrators from larger churches across America and Canada who meet to discuss current issues and share ideas. The group meets twice annually, in the spring and during two sessions at the National Conference in July. Plans will be released at the national conference each year for the following year's Regional conferences. These round table events offer smaller groups which allows for more in-depth conversations. The format will again be a round table with topics of our choosing. Bring your questions, forms, and ideas and share with a group of your peers to help us all become better administrative leaders of God’s Kingdom. We will offer CEU’s for the meetings. This group has been meeting since 2009 and the sessions have been a tremendous success. Topics have included legal issues, payroll questions, computers, software and more. If you are interested, please email Glenn Wood, Seacoast Church, glennwood@seacoast.org.